Apple's latest iOS 6 patch may have cured Wi-Fi issues plaguing iPhone 5 and iPad mini users, but the update now appears to be causing battery life headaches for others. 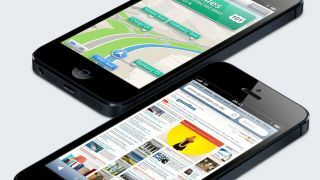 CNET reported Friday that this week's iOS 6.0.2 update may be one step forward and two steps back for some owners of the latest iPhone. Beginning Wednesday, a handful of users flocked to Apple's support discussion forums with complaints of substantially shorter battery life following the iOS 6.0.2 update released the day before. "Today I barely used my phone at all, and I noticed I was down to 40 percent after three hours of being off the charger," one iPhone 5 owner remarked, referring to it as "a significant change in battery drain." Curiously, the battery drain appears to only affect the iPhone 5 and not the iPad mini, which was also updated to iOS 6.0.2 this week; other devices didn't receive the minor update. Initial speculation points to a change in Wi-Fi antenna behavior under iOS 6.0.2, although this theory doesn't explain why most iPhone 5 devices - and all iPad mini tablets - remain unaffected. The battery drain may be tough for Apple to nail down since it affects a small yet growing set of users, compared to prior updates where such issues were more widespread. Apple has yet to comment on the matter, which could remain unresolved through the holiday break and into the new uear should engineers be unable to pinpoint the problem quickly.